I don't know if this it the right place to ask, but i wanted to try anyway. When i run my minecraft server on ubunto 18.10 i cannot scroll up on the terminal. 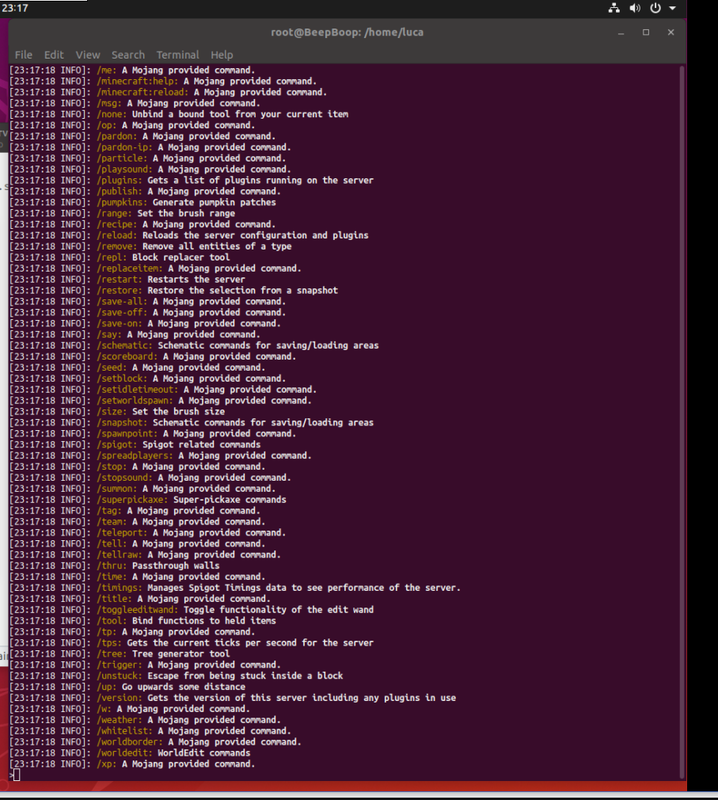 While i can scroll in the normal terminal with ease. in the picture you can see that the scroll bar on the right is full, while there is loads of text above. Hope someone can help me, or remove me if this is the wrong place to ask. The scrollbar is not shown if something switches to the so-called alternate screen of the terminal emulator. It could be the app in question, e.g. if it uses ncurses (which I doubt for something that produces a sequential output, as seen in your screenshot). screen and tmux also switch to this mode. I'm not familiar with Minecraft server at all, but a random web find says to run it as screen /home/minecraft/run.sh. If that's what you do, it's screen that switches to this mode and not the minecraft run.sh itself. You can run it without screen, in which case you lose the functionality provided by screen, e.g. to be able to detact and attach back later. Or you can use the scrolling capabilities (keyboard actions) provided by screen itself, consult screen's documentation for what these keys are. Not the answer you're looking for? Browse other questions tagged command-line minecraft scrolling or ask your own question. Can I re-open a terminal session?